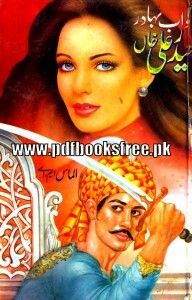 Nawab Bahadur Haider Ali Khan Novel Authored By Almas M.A. 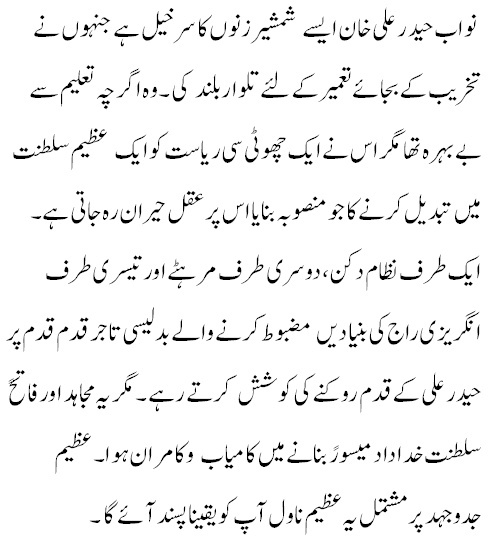 A great Urdu historical novel contains complete history, biography and life story of Nawab Bahadur Haider Ali Khan of Mysore in Urdu language. A unforgettable of struggle and effort extracted from the great history of India. Visit the following link to read online or download this novel in Pdf format.